All You Can Jet Contest! 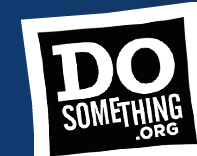 DoSomething.org has partnered with JetBlue to offer five (5) VERY lucky young people (must be under 25 years old) a pair of All You Can Jet Passes. Each winner will win two (2) passes. How To Enter: You must share your story by August 25th on how you will use this Pass to further your project or organization and you might be one of five lucky winners selected to receive a pair of AYCJ Passes. Passes are valid for 30 days of unlimited travel from September 7 – October 6 to any of JetBlue’s 60+ destinations. This can very well change someone’s life. Will you enter? The JetBlue All-You-Can-Jet Pass (the “Pass(es)”) includes unlimited air travel for one person named on the Pass (“You” or “Your”) on JetBlue-operated flights in the JetBlue route network. Travel may be booked on the Pass between 08/23/2010 – 10/03/2010. The Pass may be used for travel (“Pass Travel”) between 12:01 AM local time on 09/07/2010 and commence by 11:59 PM local time on 10/06/2010. Travel must be booked and ticketed at least 3 days prior to departure, but no later than 11: 59 PM ET, 10/3/10. Additional restrictions apply. Passes are non-transferable and may not be purchased, sold, bartered, or otherwise exchanged for value. Any attempt to transfer a Pass or book Pass Travel for someone other than You on Your pass will result in immediate forfeiture without refund.